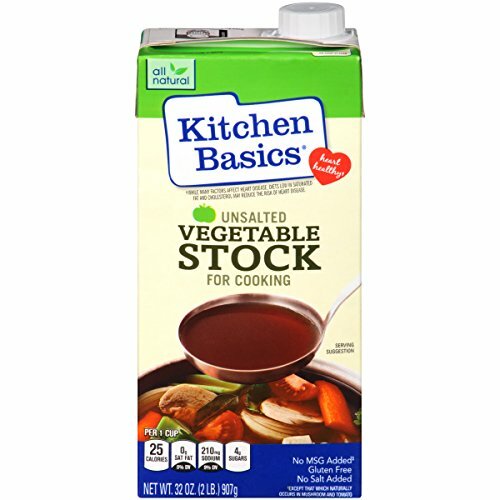 Kitchen Basics Original Unsalted Vegetable Stock is inspired by homemade, providing an all-natural, flavorful and healthy alternative to broth that is certified heart-healthy by the American Heart Association. It's made by slow-simmering carrots, mushrooms, tomato, onion, celery and bell pepper with a blend of the finest quality herbs and spices. Try bringing mashed potatoes, lentils and pasta to life by boiling in stock instead of water. It's authentic and naturally delicious. 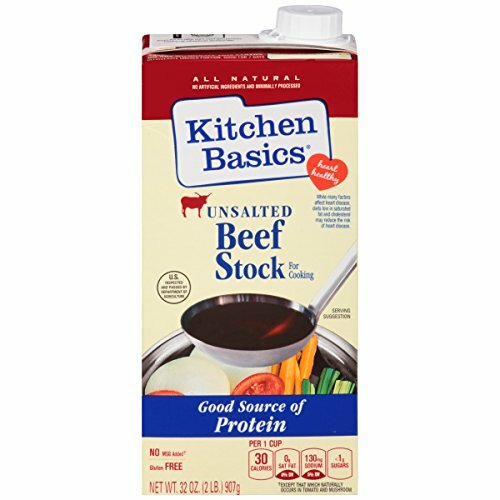 Kitchen Basics Original Unsalted Vegetable Stock is inspired by homemade, providing an all-natural, flavorful and healthy alternative to broth that is certified heart-healthy by the American Heart Association. It’s made by slow-simmering carrots, mushrooms, tomato, onion, celery and bell pepper with a blend of the finest quality herbs and spices. Try bringing mashed potatoes, lentils and pasta to life by boiling in stock instead of water. It’s authentic and naturally delicious. 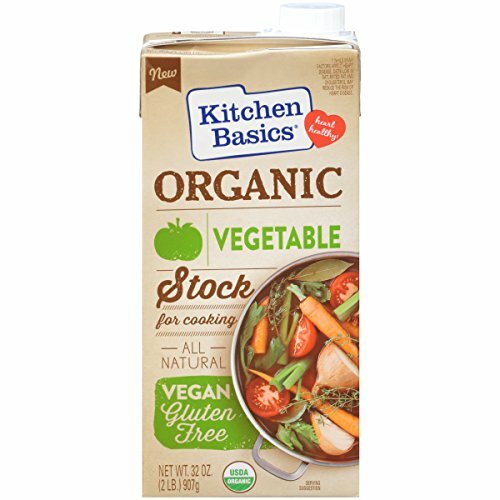 Slowly cooked to perfection, Kitchen Basics Organic Vegetable stock is sure to please the palates of vegetarians, vegans and meat-eaters alike. Chock-full of organic ingredients like carrots, onions and celery -- plus herbs -- the slow-simmered flavor tastes just like homemade. 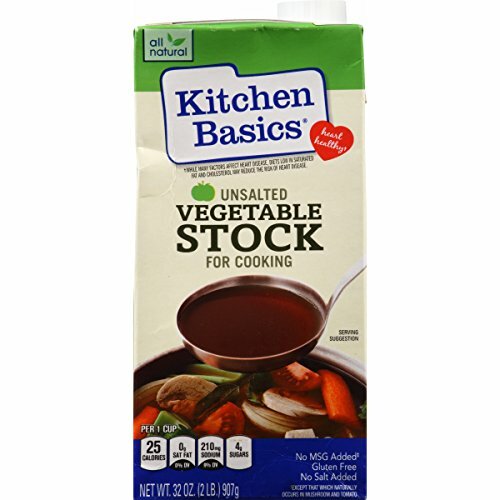 Splash vegetable stock on assorted veggies, freeze in ice cube trays for quick and easy pan cooking, or use as a base for soups, stews and rice dishes. Low in sodium and gluten-free. 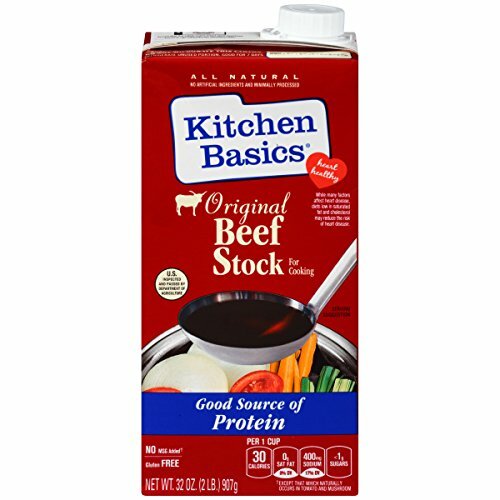 Kitchen Basics Original Unsalted Beef Stock is inspired by homemade, providing an all-natural, flavorful and healthy alternative to broth that is certified heart-healthy by the American Heart Association. It's made by slow-simmering lean cuts of prime beef with the finest quality herbs, spices, and vegetables, and a touch of all-natural honey. 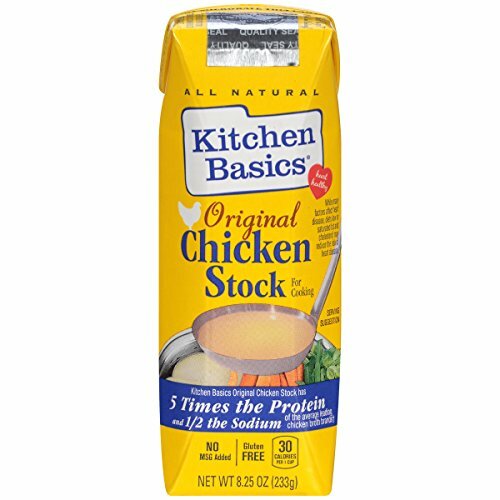 The result is a savory stock - perfect for gravies and sauces. It's authentic and naturally delicious. Stock Vegetable Uno Salted Gluten Free. The Freezing/chilling Temperatures is Ambient: Room Temperature. Made of good quality ingredient. .
Give your soups and sauces the rich, smooth texture of dairy . without the dairy. 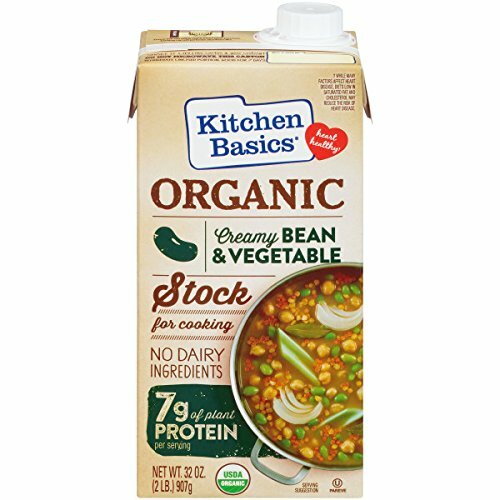 Our Organic Creamy Bean & Vegetable Stock adds a sweet, toasty, nutty flavor to your favorite dishes, with seven grams of plant-based protein per cup. 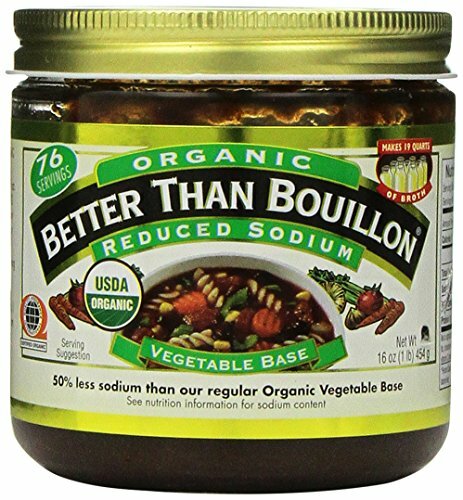 It's a powerhouse blend of organic beans and legumes, including kidney, soy, peas and lentils. You'll love its smooth texture - almost like half-and-half - but without the cream or calories. 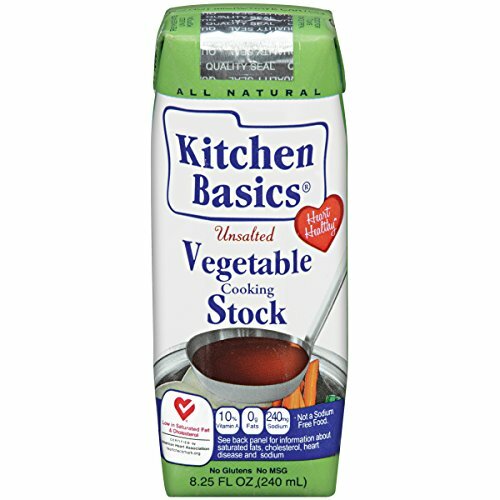 Kitchen Basics All Natural Unsalted Vegetable Stock, 8.25 Ounce -- 12 per case.